First comes Christmas, then comes Chinese New Year and now Valentine’s day. Amidst numerous celebrations brimming in, it can get exhausting while planning for your beloved. Going through pages and pages on Carousell and Instagram on the commute, just to find the perfect gift for your partner. The search is over, because the most valuable gift you could ever give someone is your time- quality, intimate and undisturbed time with your boo (Time is great but flowers are good too. You’re welcome). 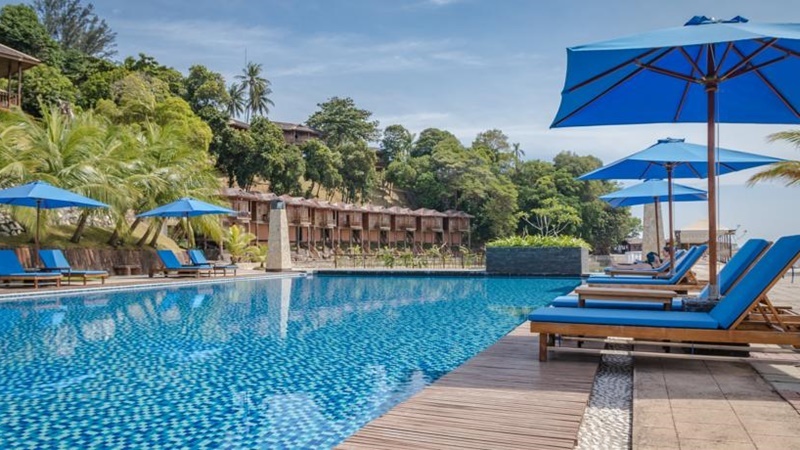 Get away from the hustle and bustle and visit the beautiful beaches of Batam and Bintan, wake up together in a luxurious resort, soak in your own private pool at noon and have a candlelight dinner for two by the beach in the evening. It is time to rest, relax during this season of love and let others do the planning. 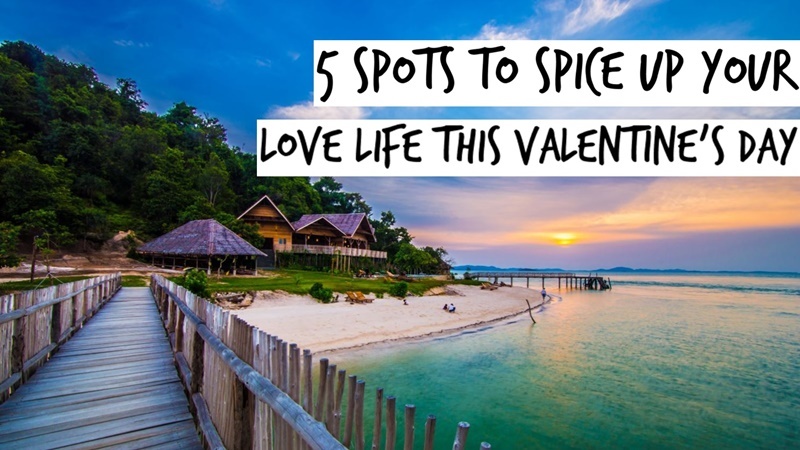 Here are 5 spots to rekindle- boost- spice up your love life this Valentine’s day. Banyan Tree Bintan is a luxurious 5- star villa decked in traditional Bali interiors with a modern twist. 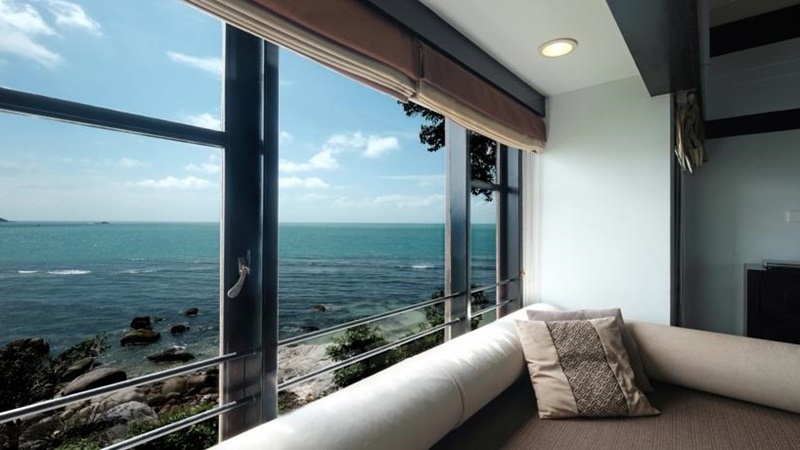 This comfy villa is spacious and opens up to different scenery at every door, during the evening you will even get to witness the South China Sea stretching into the horizon where the tropical sun meets the coastline. The villa is great for cuddlers, as there are multiple spots in the villa to read a good book together or just snuggle up as you chat about anything under the roof. So grab a great book and get cosy with your honey. Ever wonder how your partner would fair if you both lived in the same house? Now you can try out for the weekend! 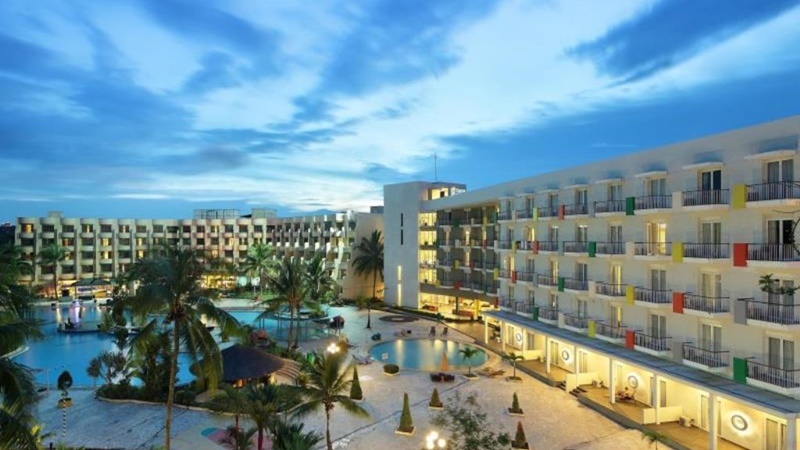 If you’re not brave enough, grab another couple and tell them hey, let’s go on a trip to Holiday Villa Pantai Indah. With the option of 1 or 2 bedroom villa, you can have privacy even when you’re sharing. The villa is adorned with immaculate furnishings with a modern touch, giving you and your love one privacy and tranquility of Bintan, as you dip in your private pool, sipping on a drink. 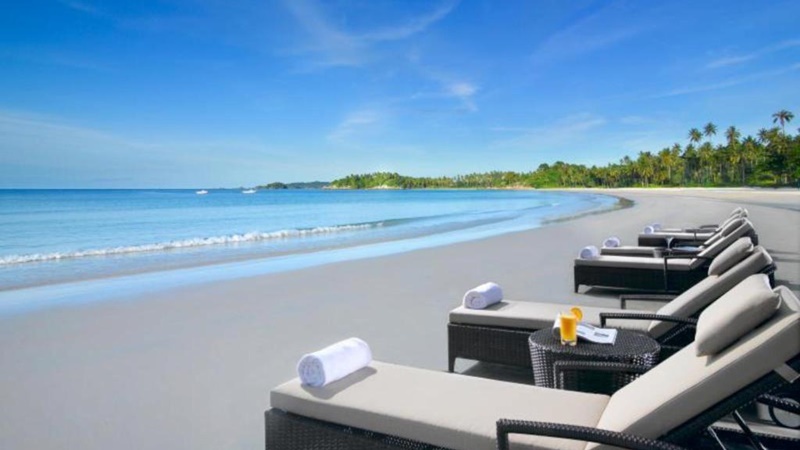 Turquoise waters, clear blue skies and white sandy beach are just a stone throw away from Angsana Resort and Spa Bintan. Greet the day together by watching the waves come and go from the resort’s wall to ceiling windows. Have a romantic lunch at the on-site picnic area as you bask in the lounge chair near the sea. After lunch, pamper your loved ones with a massage at the spa, as a reward for working hard on this trip (take it, you deserve it). KTM Resort is best for the sporty, back to nature pair. Relive your courtship days by adding some thrills with various water sports facilities, couples can go on a water boat ride, parasailing or dip in resorts’ pool that faces the sea. Wind down after a long day, Couples can indulge in each other's company with a Candle light dinner facing the sunset and sea, a perfect getaway to treat your loved one with fresh seafood while enjoying the breathtaking views of the sea this coming Valentine's day. Harris Resort is for all our chill couples, who just wanna get away from everyone and bask in each other’s glory. Every pair can pick a lounge chair each and chill out at the beach all morning. Call for an in room service for lunch with smokey thin crust pizza paired with a refreshing drink to quench that thirst from chatting with your love all day. Complete the day by heading to the sunken pool bar and order each a drink, a toast to this love! 5 spots to get your valentine going, for more information on these lovely resorts click here or visit Weekendgowhere's Facebook. Have a good one and Happy Valentine's!